School Council ‘Every child has a Voice’. Each year voting takes place in Years 1-6, for the children who have campaigned to be elected to the School Council. We have collected lots of donations in our school hall for children in Africa. We used the donations to make back packs for children going to school. The backpacks had clothes, soap, a towel, pencils and paper in them. They are going to be collected and taken on a ship to the children. School Councils have been around for about 40 years, but now with PSHE being taught, there are many more around. The School Council plays a very important role in School life. They attend regular meetings and discuss important issues which may affect the pupils, staff and parents of St Michael & All Angels and the surrounding community. When necessary, the Chairperson and Vice-Chairperson often put forward a motion to the other Councillors to invite visitors to the meetings to discuss particular projects. Minutes are recorded by the elected Council Secretary. The School Council at St Michael and & All Angels Catholic Primary School meets (with Miss Clark, Miss Guntrip and Mrs Buckley) to discuss and sort out problems and ideas. These may include school lunches, behaviour, business plans or ideas for fundraising events. 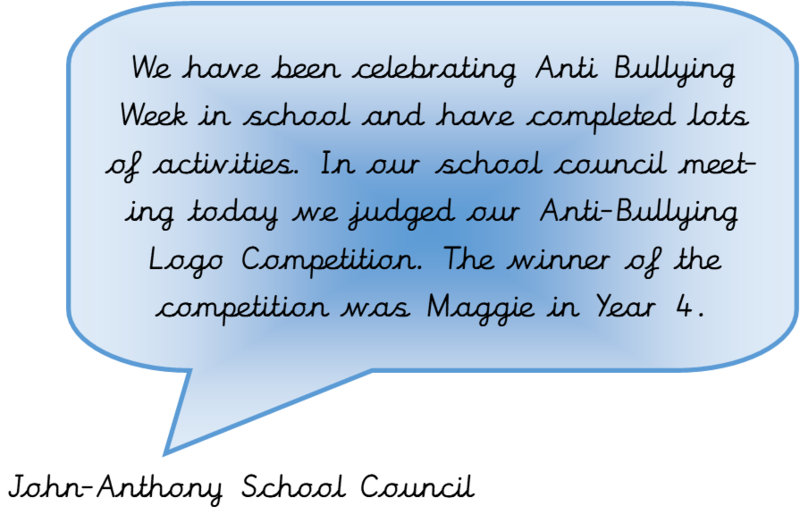 Members of the School Council are responsible for carrying out ideas that they have agreed, such as planning charity events, school workshops, meeting with Governors or other communities and putting forward views of other children in the School. · Good communication between Representatives and their class. · Smaller groups (sub-committees) working on specific events or issues. · Improved playground and field equipment. · Introduced and appointed litter picking opportunities to keep the school environment clean. · Introduced and appointed road safety officers. School Council meet on a monthly basis for 45minutes.